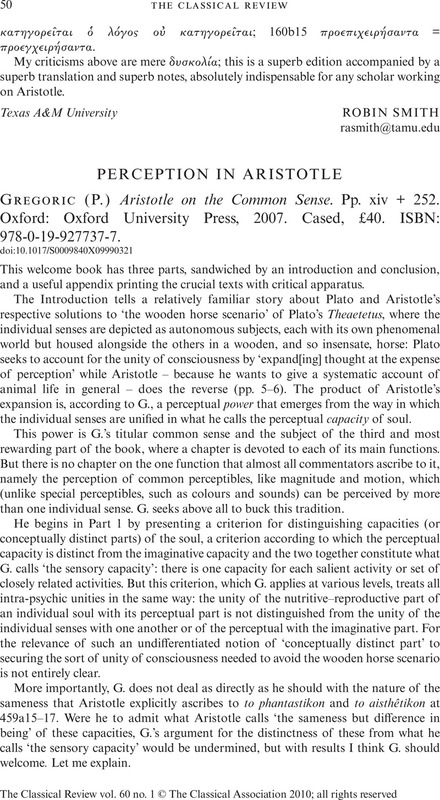 Perception in Aristotle - (P.) Gregoric Aristotle on the Common Sense. Pp. xiv + 252. Oxford: Oxford University Press, 2007. Cased, £40. ISBN: 978-0-19-927737-7.